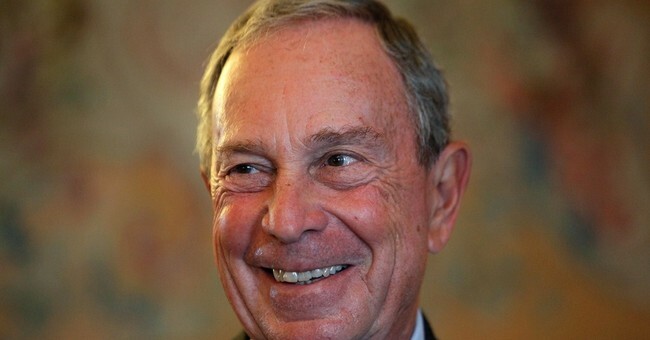 Former New York City mayor Michael Bloomberg’s gun-control group will bankroll a $1.5 million advertising campaign for a Northern Virginia state Senate candidate, in its second big ad buy in the commonwealth in as many days. Less than two weeks before Election Day, Everytown for Gun Safety announced Thursday that it would spend $1.5 million in TV and online ads for Democrat Jeremy McPike. He is running against Manassas Mayor Harry J. “Hal” Parrish II (R) to succeed retiring Sen. Charles J. Colgan (D-Prince William). A day earlier, Everytown said it would spend $700,000 on ads for Democrat Dan Gecker, who is battling Republican Glen Sturtevant to represent part of Richmond and the surrounding suburbs in the Senate. That seat is being vacated by retiring Sen. John C. Watkins (R-Powhatan). The size of the ad buys are [sic] startling by state Senate standards, particularly in the less expensive Richmond TV market. In the Richmond-area race, the $700,000 ad campaign is on par with the $772,000 that Sturtevant took in through September, and more than half as much as the $1.2 million that Gecker had raised. The $1.5 million that Everytown is plowing into the Northern Virginia race approaches the $1.6 million that Parrish and McPike raised between the two of them. The Gecker and Sturtevant race is especially critical in Virginia’s 10th Senate District, which has been described as “ground zero” concerning who will control the senate; Republicans have a slim two-seat majority in the upper chamber. The Republican State Leadership Committee has also devoted $180,000 to Sturtevant’s campaign, which is just one part of their six-figure effort to make sure Republicans maintain control. They’re also giving money to Hal Parrish’s bid to win in 29th Senate District as well. It’s funny how only Northern Virginia, the most liberal part of the state, is listed to convey a landslide victory for Herring. It wasn’t. Herring got 1,103,777 votes. Obenshain received 1,103,612 votes. That’s not indicative that gun control is a winning narrative in elections. It meant that Ken Cuccinelli’s shoddy campaign skills; along with Lt. Gov. candidate E.W. Jackson’s insane remarks that yoga leads to the devil, possibly impacted the rest of the top ticket races. There are some who feel the shutdown prior to Election Day may have had an impact. The debate still rages on that point. He won because Republican Ken Cuccinelli failed to get the same level of support from the normally Republican voting groups that Mitt Romney had a year earlier. And any complete comparison of the 2012 and 2013 electorates in the commonwealth suggests turnout problems for Democrats in next year’s midterms. The 2013 Virginia electorate was older, wealthier, more married and, surprisingly, more male than the Virginia electorate during the presidential race just a year earlier. In other words, it was a measurably more Republican-looking electorate than the one that turned out in the commonwealth for President Barack Obama’s re-election, even with the impressive black turnout. The survey data are pretty clear on why Cuccinelli lost. He lost because he was unable to match Romney’s percentages with key demographic groups that almost always vote Republican. The Republican nominee for governor won a plurality of male voters (48 percent), but well below the 51 percent that Romney won in the state last year. Cuccinelli would have gained an additional 48,000 votes if he had matched Romney’s percentage, much of which would have come from McAuliffe, thereby completely erasing the Democrat’s 55,100 victory margin. Still, it doesn’t mean that Republicans have work to do with unmarried women. We do. We have a huge project ahead of us on that, but this notion that gun control was a winning issue for Democrats to clinch victory in 2013 isn’t accurate in the slightest. At the same time, I’m not going to stop the pro-gun control crowd from lighting their money on fire. Most of Sarvis’ supporters came from ideological groups — liberals and moderates — that overwhelmingly supported McAuliffe. A majority of Sarvis’ votes came from counties that McAuliffe won — 51 percent of Sarvis’ votes were from the 43 counties that produced over 66 percent of McAuliffe’s votes. Conversely, a minority of Sarvis’ votes came from counties that Cuccinelli won — 49 percent of Sarvis’ votes came from the 90 counties that produced nearly 58 percent of Cuccinelli’s votes. ...that is the exact opposite of what you would expect from a Cuccinelli spoiler.